If you’re searching for a new Lexus in Ontario, you should consider one of the original Lexus dealerships in Canada – Lexus of London, ON. For over 20 years, our dedicated staff has been striving to deliver unsurpassed customer care, and our proven track record of satisfied customers since 1991 is a testament to this commitment. Whether you’re looking to purchase or lease a new Lexus in London, you can expect nothing less than exceptional service from each and every staff member at our London, ON Lexus dealership. A stalwart of the Lexus model lineup, the 2014 Lexus 350 is fresh off a redesign, and this spacious luxury sedan is tailored specifically for drivers who value comfort, serenity, and premium amenities above all else. Powered by a 3.5-litre V6 engine producing 268 horsepower, the Lexus ES 350 in London is a luxury sedan with ample power. Front-wheel drive and a six-speed automatic transmission are standard, as are features like auto-dimming and heated rearview mirrors. Safety Connect emergency communications, Bluetooth phone connectivity, and an eight-speaker sound system with CD player are also standard. Additionally, satellite radio, an auxiliary audio jack, and an iPod/USB audio interface and much more bring unmatched versatility and personalisation to your in-car entertainment experience. For the driver seeking a luxury sedan that’s as big on fuel economy as it is on features, the 2014 Lexus 300h is sure to satisfy. This new Hybrid ES 300h pairs a 2.5-litre, four-cylinder engine with an electric motor-generator system that together produce a peppy 200 horsepower. With Lexus’ innovative Drive Select modes (Eco and Power), you’re given the power to control how the hybrid system responds, and there’s now an EV-only mode for truly fuel-free driving. The big payoff, of course, comes at the pump, where the new ES 300h delivers 17 km/l. 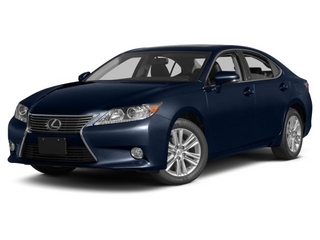 Contact us now to learn more about the 2014 Lexus 350 in London, ON, or the new Lexus 300h. If the ES 350 is the older brother, the IS 350 is the younger, more energetic sibling of the Lexus sedan lineup. The 2014 Lexus IS 350 near Kitchener is the compact sport sedan entry of the lineup, and for the driver looking for a luxury sedan in London that packs a punch, look no further than the IS 350’s 3.5-litre V6 generating an impressive 306 horsepower. This 2014 IS 350 is a luxury sedan that, while packed with features comparable to the ES 350, will go from zero to 60 mph in 5.6 seconds. So, if power and vitality are important to you in a sedan, look no further than the new Lexus IS 350 in London, ON. Like the ES, the lineup of the 2014 IS in London also includes a hybrid variant: the 2014 Lexus IS 300h. If you’ve ever said “I don’t like hybrids” in the past for reasons related to performance power, take a second look. 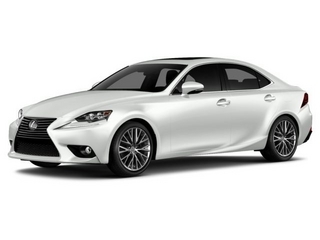 Better yet, sit in the driver’s seat of the 2014 Lexus IS 300h. The new IS 300h in London is a hybrid that packs 220 horses from its 2.5-litre, gasoline-powered four-cylinder engine and a nickel-metal hydride battery pack. An electronically controlled Continuously Variable Transmission (CVT) routes power to the rear wheels, delivering the smoothest driving experience possible. Combine this with the same standard amenities of the IS 350, and we think you’ll agree: one trip in the Lexus IS 300h will open your eyes to the next generation of hybrid performance. Contact us now to for assistance exploring the entire model lineup of the 2014 IS in London. The Lexus RX 350 a midsize luxury crossover SUV that has long been a consumer favourite, and for good reason. A spacious interior built for comfort, loads of safety features, and a 3.5-litre V6 turning out 270 horsepower with 248 pound-feet of torque make this SUV a force to be reckoned with. If comfort and safety are the top of your list, the 2014 Lexus RX 350 near Kitchener won’t disappoint. Every new Lexus RX 350 in London comes with standard safety features such as antilock brakes, stability and traction control, front and rear side airbags, side curtain airbags, and front knee airbags. 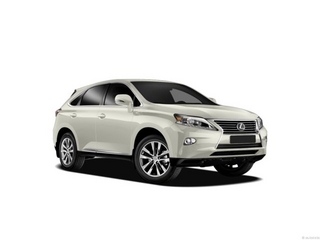 Plus, drivers of the 2014 RX 350 receive the added benefit of the Safety Connect emergency communications system. Equipped with automatic collision notification, an emergency assist button, and stolen vehicle location services, driving the 2014 RX in London, Kitchener, Windsor and beyond means your peace of mind comes standard. As you’ve seen from the aforementioned 2014 Lexus vehicles we’ve covered in this guide, Lexus is committed to hybrid technology. It’s likely no surprise, then, that the lineup of Lexus RX in London includes a hybrid variant. The 2014 Lexus RX 450h is a hybrid SUV that ranks at the top of its segment thanks to outstanding fuel mileage, a comfortable cabin and a lengthy list of standard amenities. RX 450h amenities include Siri Eyes (enhanced hands-free iPhone functionality and integration) and a nine speaker sound system with a six-CD changer, satellite radio, an auxiliary audio jack and an iPod/USB audio interface for your total convenience. Want to learn more about either the 2014 RX 350 or new RX 450h? Contact the knowledgeable sales professionals at our new Lexus RX dealership in London today. 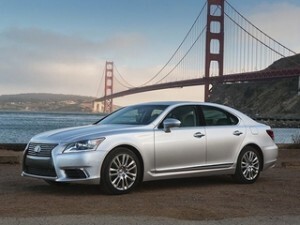 The 2014 Lexus LS 460 ranks among the finest full-size luxury sedans in the world, and comes available in standard- and extended-wheelbase (LS 460 L) models. Under the hood, the LS 460 is a powerful sedan is propelled by a 4.6-litre, V8 engine that produces 386 horses in the standard rear-wheel-drive configuration, or 360 horses with all-wheel drive. With a standard eight-speed automatic transmission, the LS 460 in London is deceptively powerful — while continuing to deliver the efficiency and comfort that led to its original world-renown. For the fuel economy conscious driver, the 2014 Lexus LS 600h is the hybrid variant in 2014 LS lineup. It packs a 5.0-litre, V8 engine that produces 389 horsepower and 385 pound-feet of torque mated to two electric motor/generators – a system that, combined, turns out an incredible 438 horsepower. That’s hybrid horsepower that neither Lincoln, Cadillac, Audi, nor many others can match. And, we’d be remiss if we didn’t mention the LS 600h’s unbeatable standard features including a sunroof, auto-dimming heated mirrors, and more. Would you like help finding your next Lexus LS in Ontario? The highly-trained sales staff at Lexus of London will promptly assist with this important search — contact us today. Are you ready to drive one of the many new Lexus vehicles in London today? Don’t wait another minute: contact a Lexus of London sales advisor today. Our professional sales staff is equipped with all the knowledge and expertise you need to drive home in any of the 2014 Lexus vehicles that feature the packages and options best-suited for your particular needs. Whether you’re looking for new Lexus vehicles that are small and sporty, roomy and safe, or the most powerful hybrid money can buy, Lexus of London will help you find a luxury vehicle that results in your total satisfaction.